 Bubby's Auto Tags & Insurance - Where Abington Gets Insurance! Welcome to Bubby's Auto Tags & Insurance! Bubby's is a family-owned, independent, property & casualty insurance agency specializing in all of your personal insurance needs. We insure homes, autos, and more. As an independent agency we are able to offer insurance products through many different companies and provide you with value, friendly personalized service, and answers to your insurance questions. Real people answer our phones so you won't struggle with endless voice mail. Great Pricing! As an independent agency we are able to find the best pricing. We are not locked into giving you a quote with only one company because we represent many companies. Great Service! We take the time to talk to you about your insurance needs, explain and answer your questions, and to get to know you and your family. We return phone calls! We CARE about our customers! Auto Tags, Motor Vehicle Services, Driver Licensing & Notary Services! Bubby's is a Pennsylvania authorized Auto Tag Agency. We understand PA state rules & regulations which helps our customers smoothly transition car purchases & sales, resolve driver licensing issues, renew registrations, and more. Family Owned! Our family business has operated in the Abington area for over 25 years. We are members of the community and take great pride in knowing our customers as friends. It's our goal to help because a satisfied Bubby's customer is our best advertisement! Auto Insurance Quiz! Get a Quote Today!